There is nothing quite as cozy and comfortable to snuggle up to on a cold winter’s night as a roaring fire in the fireplace. There is also nothing more disastrous than lighting that fire only to realize (too late) that your chimney is not in good working order. Getting a chimney sweep is the best way to prevent this problem. As a result many smart home owners in Silver Spring and all over the state of Maryland hire chimney repair companies for annual chimney sweeps. That leads to an important question. What exactly is a chimney sweep? The National Fire Protection Association Standard 211 (NFPA 211) recommends that chimneys, fireplaces, and vents should be inspected at least once a year so that the chimneys, fireplaces, and vents are sound, free from deposits, and that all clearances are met. That is one of the many reasons homeowners should get a chimney sweep every year. With such an important job at hand, it is vital that chimney sweeps only be performed by a certified expert that knows exactly what to look for and how to sweep that chimney in the safest, easiest and most efficient way possible. Hiring a professional chimney sweep is the best way to ensure that your fireplace and chimney are in tip-top shape and ready for the season ahead. A professional chimney sweep does more than simply clean out the flue. Although an important part of the job, a licensed / certified chimney expert will also inspect the chimney structure and fireplace to ensure that both are structurally sound and free of obstructions and combustible deposits. This may include dangerous creosote deposits as well as soot and dust. A good inspection also ensures that your fireplace and chimney meets all local fire and building codes. The flue will also be checked for damage during the annual inspection. Once the initial inspection is completed, the chimney sweep will clean the chimney and flue of all dust, soot and creosote found. The primary purpose of a chimney sweep is to identify potential problems and remove dust, soot, ash from the chimney. A chimney sweep can work from either inside (going in through the base of the fireplace), or from the top of the chimney. In some cases the sweep may utilize both entrances. Either way is acceptable and usually depends on the size and condition of the chimney, access availability, and weather conditions. 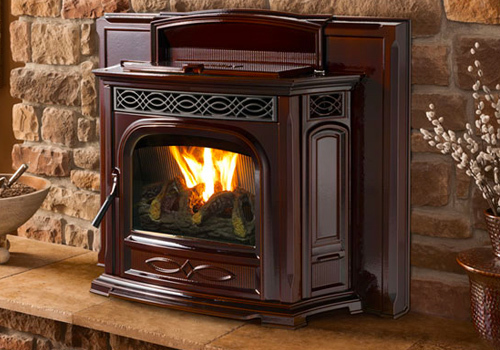 Getting your chimney is an important part of maintaining your chinmey and fireplace. We recommend our chimney sweep company. We provide chimney sweep service in Silver Spring and most counties in the Washington DC and Greater Baltimore Metropolitan Areas. Chimney fires cause over 14,000 fires every year in the U.S. and nearly $35 million in property damage, according to the National Fire Protection Association. What’s even more startling is that most of these chimney fires burn and extinguish themselves and initially are unnoticed by homeowners. Damage produced by an undetected chimney fire is only discovered later when the homeowner has a chimney sweep company come to their home and provide a chimney sweep and inspection service. The NFPA recommends that chimneys be swept every year. It is important to hire a professional company that knows how to sweep a chimney. Homes in Silver Spring, MD need chimney sweeps in the same manner that every other home requires. Creosote buildup is responsible for the majority of chimney fires. Smoke emitted by burning fossil fuel or wood rises into your chimney where it cools and produces volatiles, carbon, and water condensation. Unless removed, this condensation quickly converts into an oily, black residue chimney sweeps call creosote. Creosote develops in three stages: 1) crunchy or porous soot; 2) a sticky, tar-like substance; 3) a hard glaze that is real creosote. Be aware that creosote remains highly combustible in any stage and can almost instantly produce a dangerous, volcanic-like chimney fire. Even if you only use your chimney occasionally, Birds, bats, squirrels and raccoons may clog the flue their nests. In fact, chimneys with the least amount of use of the most common targets of animals seeking a place to build nests. The Chimney Safety Institute of America (CSIA) does not recommend relying on chemicals to clean your chimney. Commercial chimney cleaning products claim to remove creosote from chimneys via fire-supported catalytic action. However, the CSIA states that these chemicals should not be used to replace a thorough cleaning and inspection performed by a professional chimney sweeper. Broken or cracked flue tiles, deteriorated mortar and missing bricks may be inconspicuous to homeowners. Chimney sweepers are trained to detect the smallest hairline cracks and other minor damage that, when exposed to fiery heat, could cause a fast-moving fire. The National Fire Protection Association’s standard recommends that chimneys be inspected every year. This requirement is detailed in NFPA standard 211. Only burn seasoned wood. The ideal moisture content of seasoned wood should be between 15%-20%. The best way to find out the moisture content is by using a moisture meter. Use only dry kindling or clean newspaper when starting a fire. Never use kerosene, gasoline, wrapping paper, cardboard boxes and especially, your Christmas tree! Finally, the Chimney Safety Institute of America strongly urges homeowners to have their fireplaces, vents and chimneys inspected at least one a year by an experienced chimney sweeper for “correct clearances, freedom from deposits and soundness“. For more information about fireplace safety, visit the Consumer Product Safety Commission website. Chimney safety can be a matter of life and death. Don’t wait until you have a problem to have your chimney cleaned. Contact a local company and have your chimney cleaned every year. If you need a chimney sweep in Silver Spring, MD, Montgomery County, Prince Goerges County, Baltimore or other Maryland jurisdictions around Washington DC please contact All Pro Chimney Service 301-750-3149.